I arrived in Toronto around 10:20 on Thursday night, parked and headed down the road to Momofuku noodle house, the much discussed David Chang restaurant in the Shangri-La Hotel on University Ave. Open for only a few days, the place was packed. I was greeted at the entrance and was able to bypass the crowd, not because I’m a famous food blogger but because I was solo and they had a single spot at the bar. I was seated beside a rather distraught guy who seemed utterly confused by the hype of the place given the small menu, which offered a mere five bowls with some buns and sides and no dessert. He eventually had his many questions answered and settled on something. I was quickly greeting by a pleasant waitress who offered me a glass of water (which wasn’t empty for the rest of the night) and a quick explanation of the menu. I immediately noticed the precision and efficiency of the open kitchen which, like the service, ran like a symphony. I settled on a seven spice sour slushie (sake, togarashi, yuzu, lime ($10))…say that 5 times fast or you get cut off… to start. A bit off the wall but a decent cocktail despite a few episodes of brain freeze due to the large straw and the fact that I drink like an eight-year old. I ordered pork buns, the ramen bowl, pickles and smoked wings. Within 15 minutes, the pickles arrived, followed by the buns and noodles. There was a mixup with the wings so I didn’t get them until for a while after the rest of the order came. 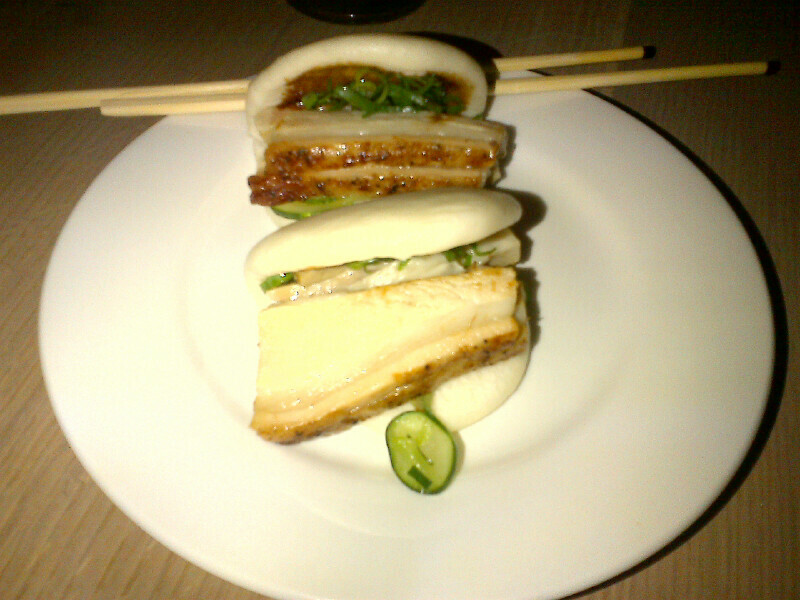 The steamed pork buns ($10) were the highlight. A bit of a twist on the popular dim sum item, they were presented open-faced and filled with a tender pork belly and seasoned with a sweet sauce. Good thing I was dining alone because I might of fought somebody if they went for the second one. The ramen itself was beautiful and traditionally presented, complete with nori, pork two ways (shoulder and belly), and a soft egg. There was also a fish cake and a chinese cabbage. The pork, egg and ramen were cooked perfectly and the cabbage had a briny taste which contrasted the richness of the belly nicely. The broth, however, was a bit confusing. 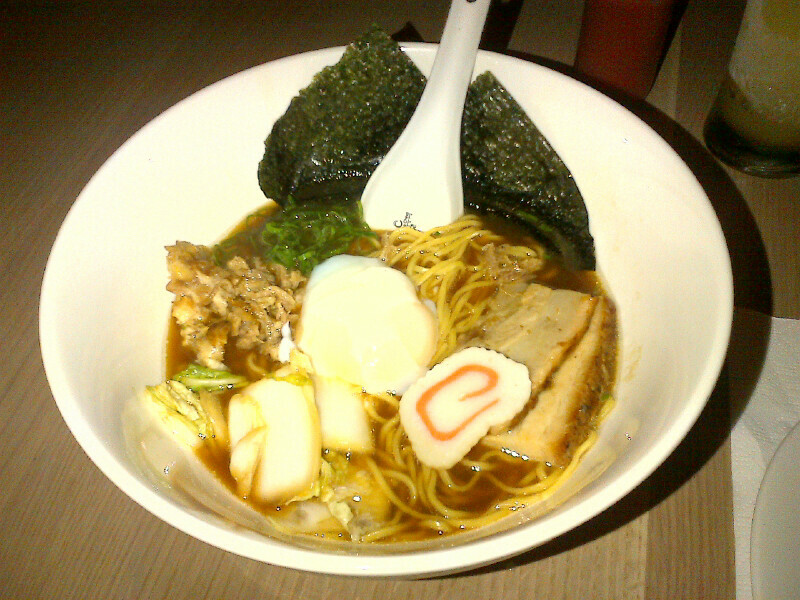 Quite dark in colour, it had an almost burnt taste which overpowered the other components of the bowl. I normally expect a broth to bring it all together, not stand out on its own. Perhaps I’m not as familiar with Chef’s Chang’s flavour profile, but I was left scratching my head. I love pickles and will order them whenever I can. 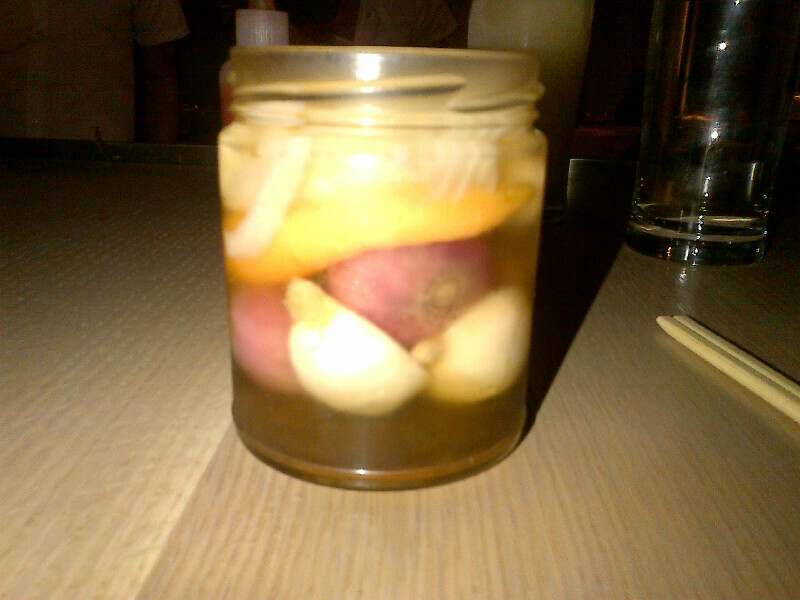 Momofuku’s version were presented in a small jar and mainly consisted of onions, carrots and cauliflower. It took me a bit to realize the bottom of the jar was lined with a mushroom cap as well. The vegetables were still crisp and tasty if you really like vinegar. On the other hand, I didn’t get the mushroom. After what seemed like an eternity, I finally pried it loose and could only manage a bite or two before giving up. 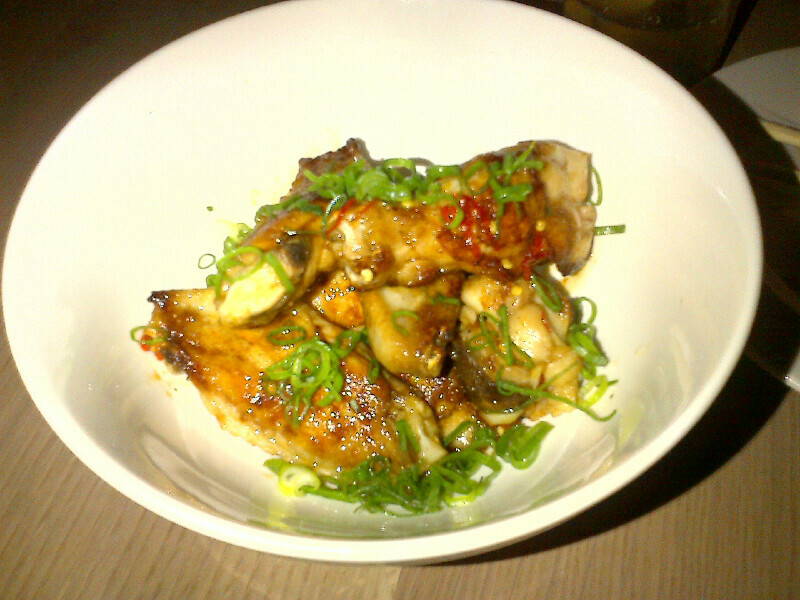 I got roped in by the smoked chicken wings with pickled chili, garlic and scallion. As mentioned above, I didn’t get them right away but had a good opportunity to watch the preparation method in the open kitchen. They are browned on the griddle, broiled, seasoned and served. They were a good size and well seasoned but still contained a lot of unrendered fat which made them a bit too greasy. There’s no way I could eat anymore than two. The opening of Shangra-La will bring some solid New York inspired dining along University avenue, an area in need of more eateries. Momofuku noodle bar is the first stab and comes with the backing of David Chang and his Michelin stars. As a result, there will be a lot of hype and a few people may be disappointed, especially given the fact it can be considered a bit on the pricy side. At the same time, this place will succeed and promise to offer a constantly evolving menu. Whether it is a few growing pains or just a bit of confusion in my understanding of the preparation, at the end I was left feeling a bit like the guy sitting beside me.